Granting relief to thousands in Kasargode, the Kerala government finally agreed to provide medical aid to children affected by poisoning. A protest by the victims near the Kerala secretariat. Credit: Rejimon K.
For the first time in a long while, she says, Sameera K.K. is hopeful about the future. 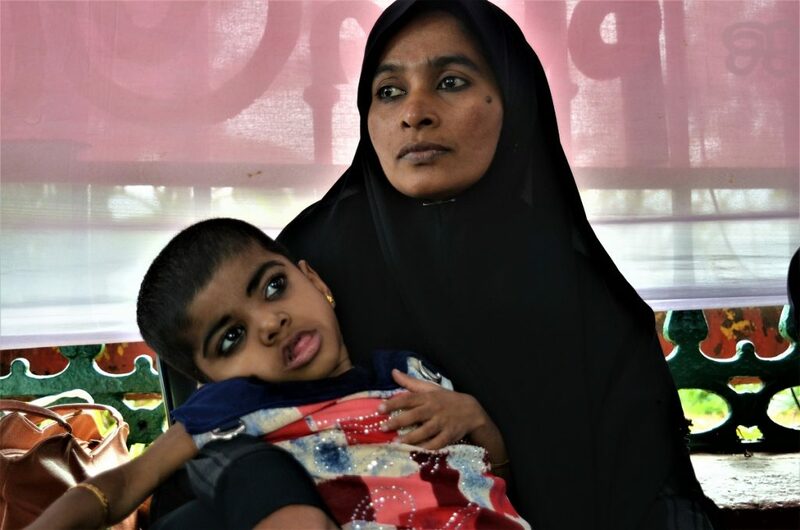 Her son, nine-year-old Fasal K.K., is one of the victims of endosulfan poisoning, which has left him with a central nervous system disorder. “At least now I can believe that we will get some help,” Sameera said. “It was not the situation when I came here to Thiruvananthapuram,” Sameera said from a bus on the way to Kasargode, the northern-most district of Kerala. 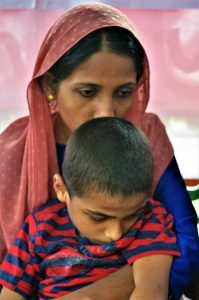 Sameera was one of 25 mothers preparing to go on hunger strike to protest their exclusion from the government’s list of around 1,900 endosulfan victims. Sameera and Fasal. 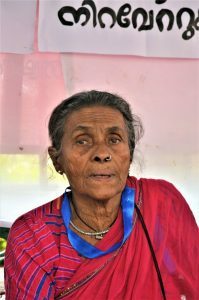 Credit: Rejimon K.
Led by a Daya Bai, a 79-year-old activist in the forefront of upliftment of Dalits in central India, Sameera and the other women began their hunger strike near the Kerala secretariat in Thiruvananthapuram on January 30. When The Wire met Sameera on February 2, she was disappointed. Their meeting with state ministers K.K. Shailaja and E. Chandrasekharan did not yield any results. On February 3, Vijayan, the chief minister of Kerala, agreed that Fasal and around 400 children would be added to the list. Fasal doesn’t talk or smile like children his age do. He lies in his mother’s lap, staring at visitors. When he is in pain, tears roll down his cheeks, but he can’t cry. 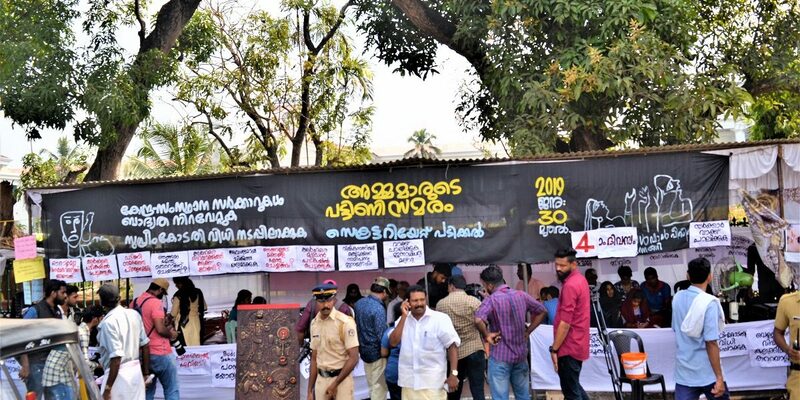 People living in 15 gram panchayats in Kasargode were exposed to endosulfan between 1975 and 2000, when the public sector Plantation Corporation of Kerala (PCK) sprayed the chemical aerially in its 12,000-acre cashew estates. Its residues spread far and wide via wind and rain, affecting Kasargode and even neighbouring regions in Karnataka, killing thousands. According to reports, it has poisoned more than 6,000 people and thousands of children were born with congenital disabilities, hydrocephalus, diseases of the nervous system, epilepsy, cerebral palsy and severe physical and mental disabilities. Following protests and legal battles, the PCK stopped spraying endosulfan in 2001. But its impact is still being felt in Kasargode. Naseema M.A., mother of seven-year-old Aslamiya, says children in the area are still born with disorders. “This is our home. We cannot migrate like others, we cannot leave our land and home. It is the government that used endosulfan and we have become the victims. I have to be with Aslamiya 24×7. Without my help, she cannot do anything. We have knocked on all doors for help. They were just ignoring us. Now, we are hopeful,” Naseema said. In 2017, a government-organised medical camp identified only 1,900 children as victims of endosulfan poisoning. After ‘examinations’, that list was cut to 364 – leaving children like Aslamiya and Fasal with no hope. “It costs around Rs 40,000 for medicines and treatment every month. My child was excluded because I am not a plantation worker and there is no way my child got affected by the endosulfan, even though I live near a plantation where the poison was sprayed for years. My husband drives an autorickshaw and it was difficult for us to find the money for medicines. Now, I feel hopeful,” Sameera, Fasal’s mother, said. Fasal, like hundreds of others in Kasargode district, was born with central nervous system disorders. They hamper mental and physical growth and can also cause epilepsy. 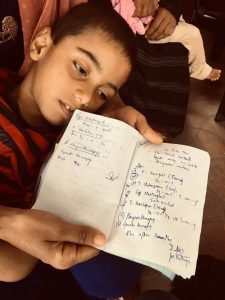 Along with a few more ‘friends’, Fasal travelled 600 km from his home to the Kerala secretariat in Thiruvananthapuram, seeking medical treatment assistance from the government. Naseema and her daughter Aslamiya. Credit: Rejimon K.
Daya Bai, while expressing gratitude to those who backed the agitation, said she does not hold any grudge against health minister K.K. Shailaja over the latter’s comments on the protest. She reportedly said it was ‘unfair to exhibit’ children during a protest. “I am happy the government has agreed to our demands. I believe all those eligible will receive the benefits on time,” she said, after the hunger strike ended. Responding to the minister’s comment, Bai said on January 2 that when people are victimised, the government should not turn a blind eye towards their suffering. Daya Bai. Credit: Rejimon K.
“Who is responsible for this ‘silent killing’? It’s the government, which failed to act in the past and now in helping the victims. Now, when we are on a peaceful hunger strike with the affected children, they are threatening that action would be taken against us for ‘torturing’ the children. It’s the government who is ‘killing’ the children by depriving their right to live with dignity,” Bai said. In January 2017, the Supreme Court directed Kerala to disburse compensation for the endosulfan victims within three months and take steps to rehabilitate them. The apex court also awarded a compensation of Rs 5 lakh each to the families of those who died due to the poisoning. Muneesa Ambalathara, who was led the protest, told The Wire she was satisfied as the government agreed to meet 12 of their 14 demands. “The two demands that were not met are providing a job for one member of an affected family and including the family in the Below Poverty Line ration card category,” Muneesa said. She said the government has not rejected these demands, but has asked for time to consider them. In 2000, the number of endosulfan victims was pegged at 4,182. Another 1,318 were added in 2011 and 349 in 2013. After the addition of 363 victims in 2017, the total stands at 6,212. According to Muneesa, the government is considering another revision of the children affected by the poisoning, including those below 18 years old. Even though the PCK began using the pesticide in 1978, only in 1994, an observation by a medic revealed a rising incidence of cases of mental illness and congenital anomalies in Kasargode. Dr Mohankumar, the medic, initially considered the possibility of heavy metal or radioactive toxicity of the area’s water, since some of the disorders were more frequent in people staying near water sources. In a medical journal, he wrote an article, asking experts to conduct a study in the area. He also brought the issue to the attention of media and other doctors. In 1998, Leelakumari Amma, a staff of the Krishi Bhavan at Periya panchayat, saw that her health, along with that of her two children, was deteriorating. After they started living in a village close to where the endosulfan was being used, they began losing their voices and experiencing hormonal problems. She lodged a complaint in the local court along with two other farmers, demanding that the use of endosulfan be stopped in the interest of the people’s health and the environment. In 1998, a sub-court temporarily stopped the spraying of endosulfan in Periya panchayat where Leelakumari stayed. Several national and international groups conducted health and toxicological studies between 1998 and 2002. They arrived at the conclusion that the health problems in Kasargode were caused by endosulfan. Later, the Kerala health department organised medical camps in various regions and another study. The report reaffirmed the relationship between endosulfan and the health problems in Kasargode. Finally, in 2002, the Kerala high court banned the sale and use of endosulfan in Kerala. The state government also issued a ban order in 2003. In 2005, the Centre issued an order that the pesticide bottles must carry a clear message that they are not for sale in Kerala. Relief and rehabilitation efforts started in Kasargode with the help of the local panchayat, local organisations and the Calicut Medical College in 2003. A list of medicines that seven-year-old Fasal has to take. Credit: Rejimon K.
However, both state and Central governments failed to protect and support the Endosulfan victims. The victims held several rounds of agitations, sit-ins and hunger strikes in the state capital in 2012, 2013, 2014, 2016 and 2018. In 2012, the victims staged a 128-day strike in Thiruvananthapuram. It was called off after the government agreed to all their demands, including financial aid and setting up treatment facilities. A year later, when the government failed to deliver, the women and children resumed their agitation. It lasted 36 days and was called off after another set of assurances from the government. In 2014, the women again began an indefinite strike near the Thiruvananthapuram home of Oommen Chandy, who was then the chief minister. It was called off two days later, after Chandy assured them of aid once again. But government inaction once again forced the women and children to travel to Thiruvananthapuram to hold a hunger strike from January 26, 2016. It continued till February 3. The agitations, along with legal fights, have ensured that the victims receive the financial help recommended by the National Human Rights Commission almost a decade ago. The commission, in its order dated December 31, 2010, asked the state government to disburse Rs 5 lakh to seriously ill and bedridden victims and Rs 3 lakh for other victims, within eight months. When the state government failed to comply with the order, the Supreme Court intervened. On January 10, 2017, it asked the state government to disburse Rs 500 crore to over 5,000 victims of endosulfan poisoning within three months. Subaida M., whose 13-year-old daughter Aisha Fathima is a victim of endosulfan, said the government must implement the Supreme Court verdict. On February 1, chief minister Pinarayi Vijayan told the state assembly that the Centre was yet to provide the Rs 483 crore sought by the state since 2012. Vijayan said the district administration and the health department identify victims based on the norms fixed by the high court in 2013. “As much as Rs 4.63 crore has been earmarked for writing off the loans up to Rs 3 lakh of endosulfan victims. Earlier, Rs 2.67 crore was earmarked for waiving loans up to Rs 50,000,” he said . As speaker P. Sreeramakrishnan declined permission for the adjournment motion, the opposition staged a walk out over the issue. The government’s tedious response has forced the protestors to intensify the strike. “We will go till the United Nations,” Daya Bai said. In 2011, under the Stockholm Convention, 120 nations agreed to a global phase-out of endosulfan. Most countries stopped using it in 2012. However, certain conditions allowed endosulfan to be used used until 2017 or until a replacement has been developed. One condition is the control of bollworms in cotton crops. The main producers of endosulfan are India, China, Israel, Brazil and South Korea. India is the largest producer. India fought the UN’s ban initially, but became a signatory after certain exemptions were included. Rejimon K. is a Panos Fellow journalist and a migrant rights activist with Migrant Forum in Asia. He is currently an India-Arab Gulf Senior Investigator at Equidem, which probes workers rights all over the world. 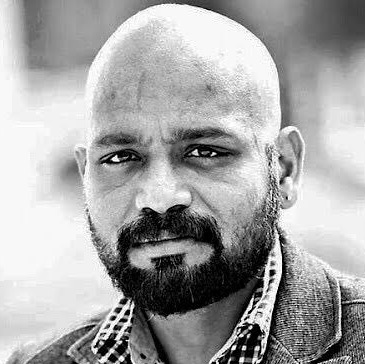 He is also a fellowship advisor for Ethical Journalism Network and a media resource person for the International Labour Organisation.